MINNEAPOLIS (January 28, 2018) – Kristine Kubes, principal of Kubes Law Office, PLLC, Minneapolis, has been elected as Chair-Elect of the American Bar Association Forum on Construction Law, the largest construction law association in the world. She will serve as Forum Chair beginning September 2019. In this post, she will lead more than 6,000 Forum members who represent construction company owners, design professionals, general contractors, construction managers, subcontractors, suppliers, insurers and sureties. In the Forum’s 43-year history, Kubes is the first Forum Chair from a solo/small law firm and only the sixth female lawyer to serve as Chair. Kubes, a long-time member of the Forum and leader in several other organizations in the fields of design, construction, and law, will serve a three-year term. She has currently formed teams of lawyers across the nation to help carry out the Forum’s mission: Building the best construction lawyers. Together, they will produce legal education and professional development for construction lawyers to improve construction law and practice. Kubes is a thought leader on professionalism and ethics for lawyers and design professionals, and on licensing and risk management for design and construction professionals. She practices in the areas of professional liability defense/litigation, contracts, proactive counseling during the life of a project, payment issues, mechanic’s liens and surety issues. Kubes is also a mediator in the arena of construction and design. She is a member of the American Bar Association (ABA), American Counsel of Engineering Companies (ACEC), American Institute of Architects (AIA), American Society of Interior Designers (ASID) and the Association of Women Contractors (AWC). 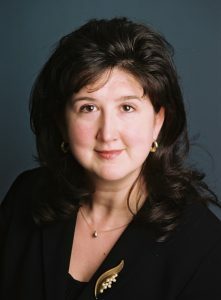 In 2005, the Minnesota Governor appointed Kubes to serve as a Public Member on the state Board that licenses design professionals in Minnesota. During her eight-year term on that state Board, she was elected to serve as Chair, making her the first Public Member – and female – to serve as Board Chair. Since her tenure on the state Board, other public members and other women have been elected as Chair. She has been recognized by Martindale-Hubbell as an AV-rated preeminent attorney by her peers and is rated as a Super Lawyer® based on peer recognition and professional achievement. Established in 2009, Kubes Law Office is a boutique law firm of seasoned counselors, litigators and mediators exclusively serving design and construction professionals in the U.S. For more information, including content on topics important to the industry, visit KubesLaw.com and follow Kubes Law on LinkedIn, Twitter and Facebook.